Can I use this for an Phone Case please ? Can I use this to make as a T-shirt for myself? I will post a picture of it once it is done. This is great, could I get the .ai file??? to play with a vector file and not with a .png; This is really cool! I would like to get this as a tatoo on my back, is that OK? This is a superb triforce. May I use the image to sandblast onto a glass for my son? He would lose his mind. This is a great design! Could I use this to pant on old Nintendo Systems? Can I possibly have permission to get this printed on a shirt I have? Phenomenal work! If I may have your permission, I would very much like to use this as a base for my latest tattoo. It is EXACTLY what I am looking for and would love to have your blessing. Wow! You've probably gotten this inked on a lot of people! I may get this as a tattoo also if you don't mind! Earlier this year, during a convention, I bought a t-shirt with this design imprinted on it, and just today I've found out it was fan-made. Was that shirt "reptiletc-approved", or did they stole the design? Sadly it was most likely stolen as I have only approved of one man to sell my design. Either way, thank you for enjoy my work. Really love the design, would it be okay to use this as my tattoo? Could I get this as my first tattoo? Was wondering if I could put this on a pair of socks. Personal use of course. Would that be acceptable? Hey i LOVE it, and i was wandering if i could save it, add color (red with black) and use it as my forum picture. I will be using it for many forums if that is ok with you??? hey is it ok if i take this picture, add color and use it as my symbol for a forum??? I would love to have this as my optimus elite phone case. Is that okay? 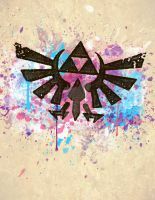 Absolutely love this design....Been wanting to get The Sword shield and Triforce together as a tattoo for a while now.. but I never found one as good as this. Would you be okay with me getting this as a my first tattoo? Awesome <3. Can i use it to project for competition from polsih Youtuber? Really nice! Im considering getting my first ink, would you mind if use this one? I know a lot of people have asked, but this is an amazing design, I'd love to get this as a tattoo! This one or the one without the shield... now I can't decide! 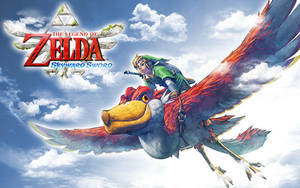 Originally was looking for just the Master Sword and TriForce, but this is such an awesome design! I love it when people like my design, enjoy your new tattoo because you have my approval for either or both. Awesome design, can i use it for a velcro patch i want to design? No monetary gain, it's for personal use. Also might wear it on any airsoft clothing gear i get in the future. But as far as the patch goes, i am not using it to make money. I love this one, can i use to make a wallpaper? i would so get this as a tattoo! This is so badass. Could I use the design idea for a tattoo? Since you asked, go for it!